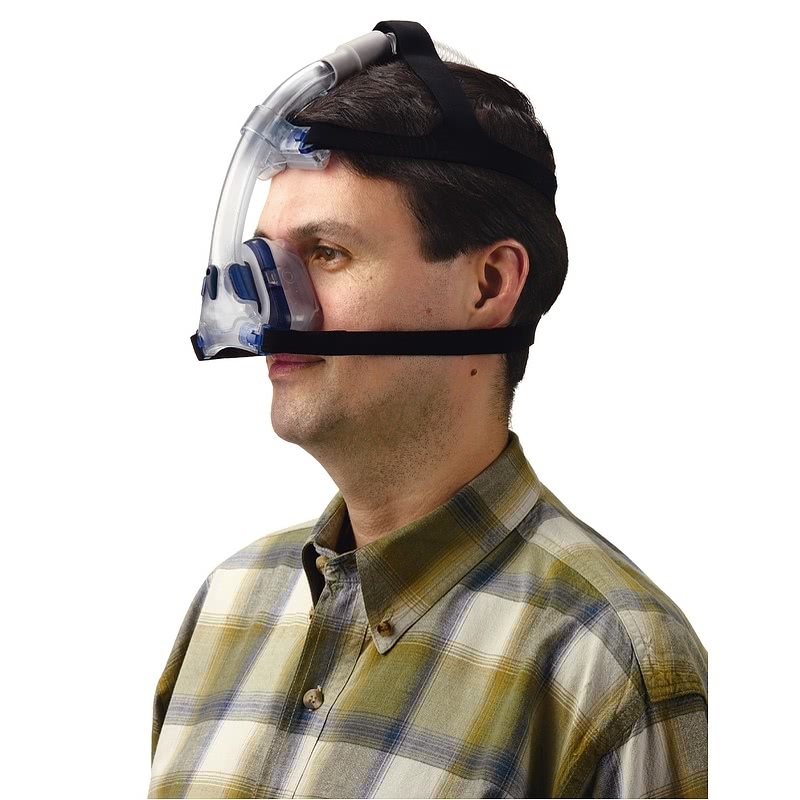 " It is a very comfortable mask specially when the tube goes over you head. " 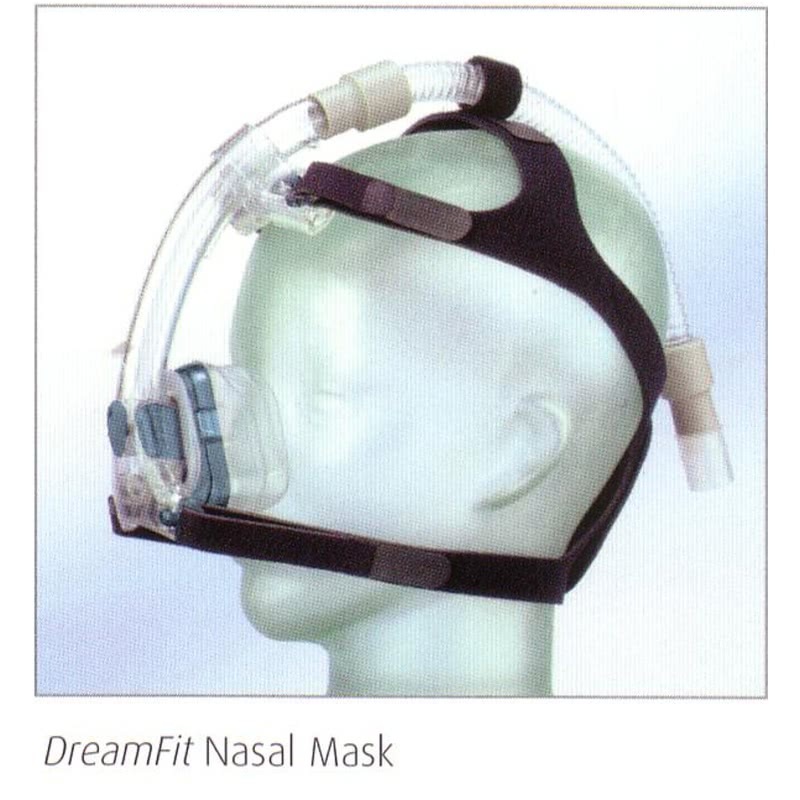 Designed with a simple, one-step closure, the DreamFit Nasal Mask is easy to put on and take off. 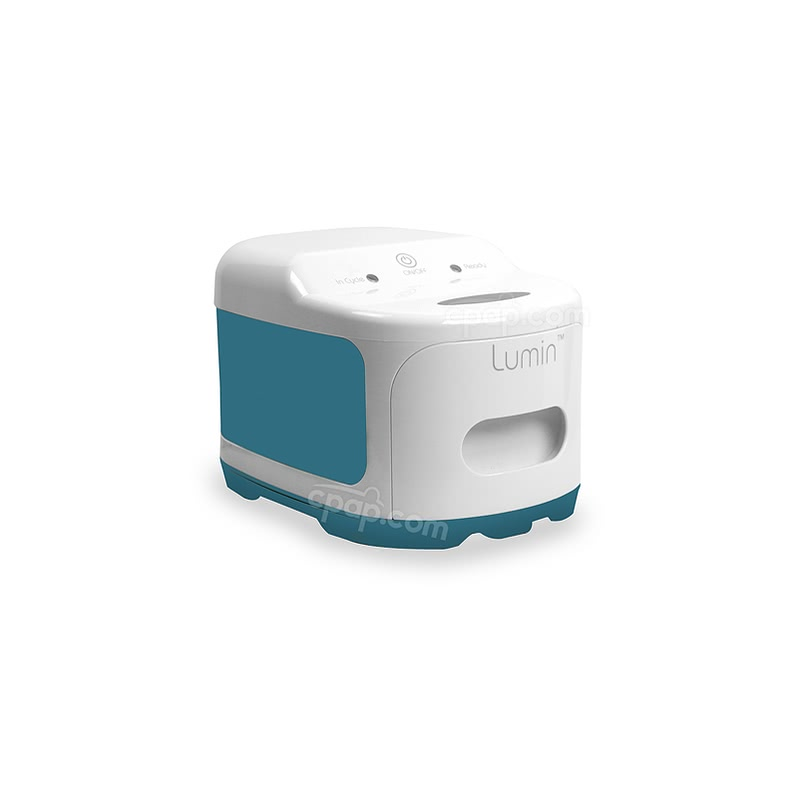 It also features a soft "bellows" chamber between the mask and interface that swivels to accommodate sleeping movement and help prevent leaks. 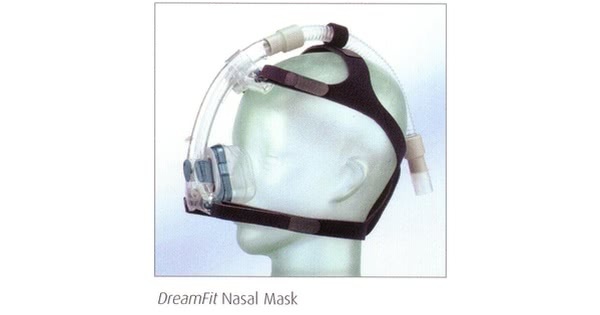 The soft, pliable DreamFit mask creates an effective, yet comfortable seal. 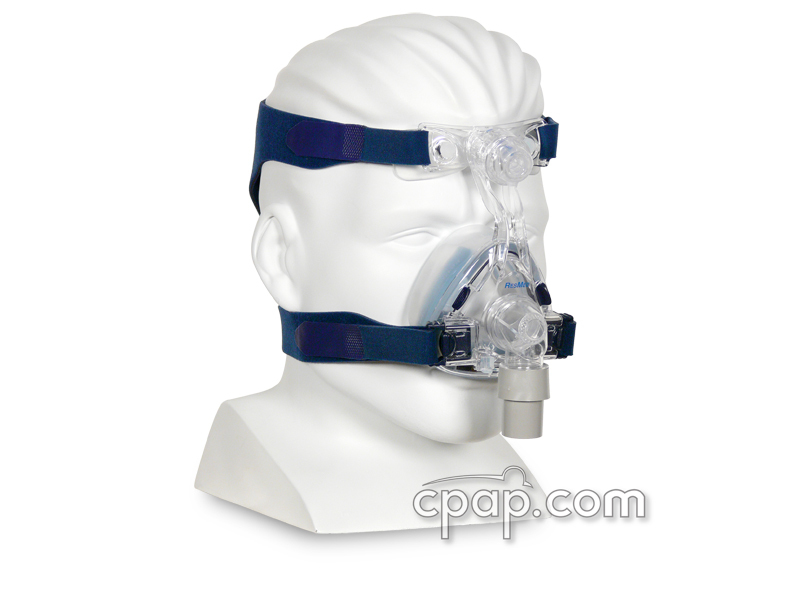 Move Freely As You Sleep Airway hose routes over the head to enable sleep in virtually any position. 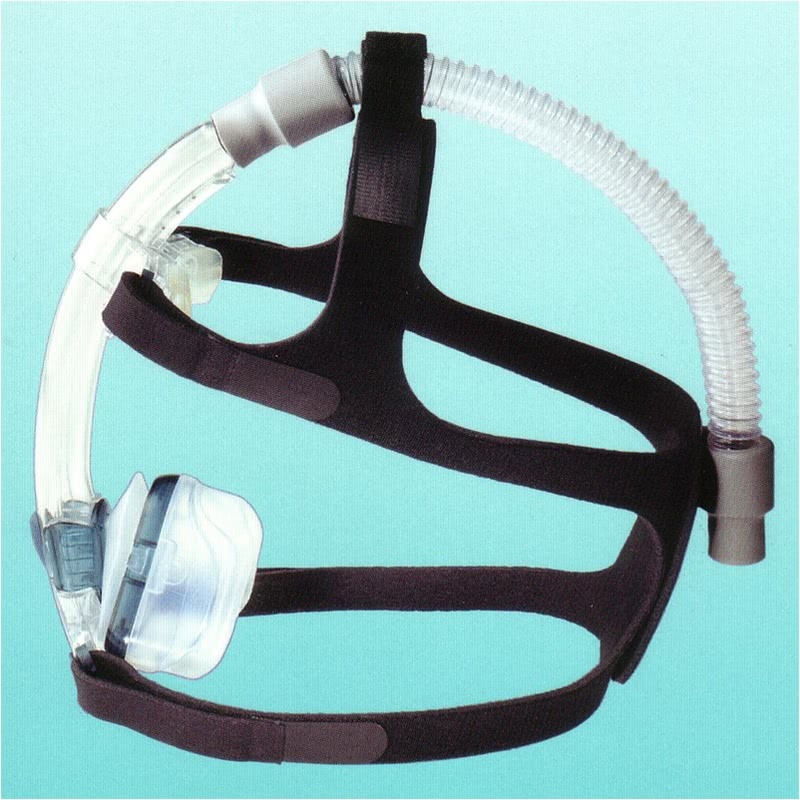 Leak Resistant Flexible "bellows" chamber between the mask and interface swivels to accommodate movement and help prevent leaks. No Air Blowing At Your Bed Partner Vent hole is angled upward to direct air away from bed partner. 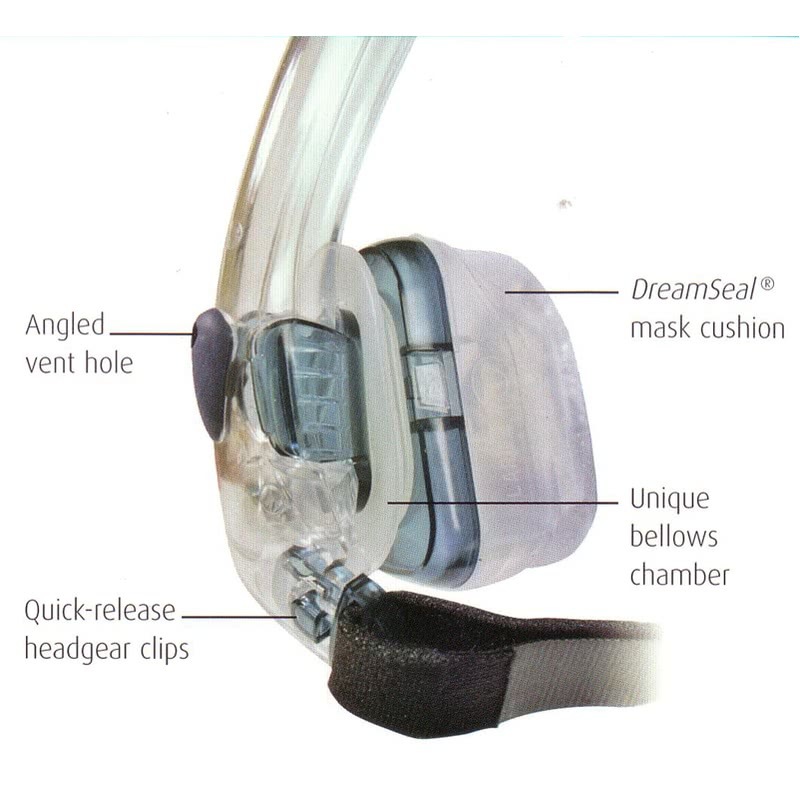 All Dreamseal cushions are interchangeable with the Dreamfit frame. 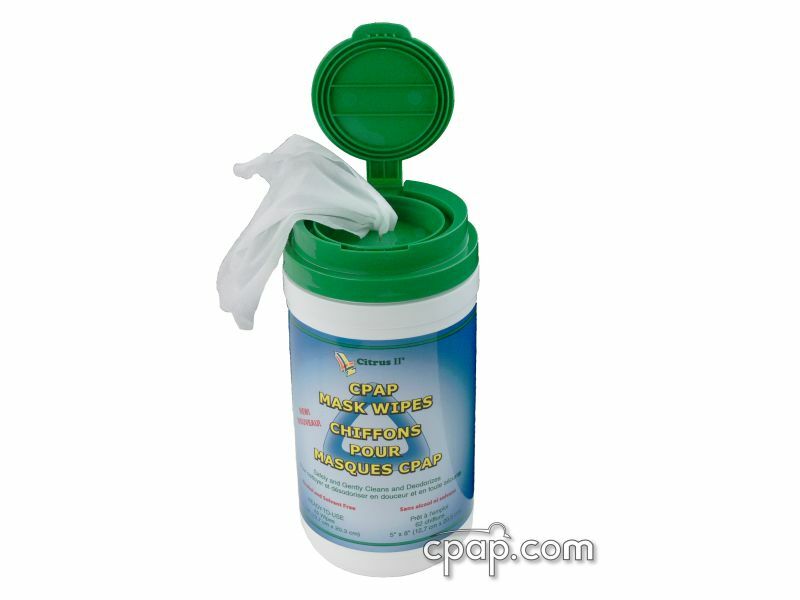 The Breeze DreamSeal frame comes in one size and is not labeled. 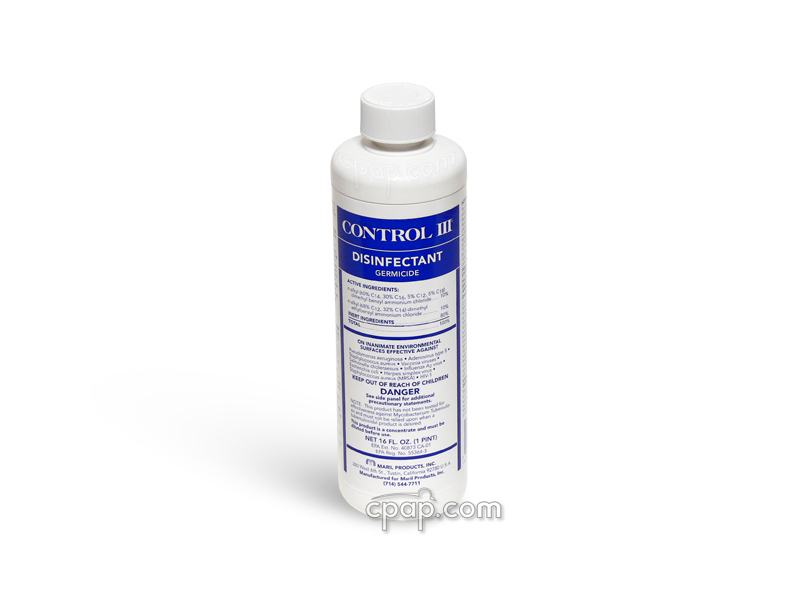 The Cushion is labeled with the size and part number. When examining the front of the mask, the cushion size is located on either side of the cushion and the part number is labeled on the bottom side of the cushion.